Gurgaon is one of the fastest growing residential areas in the country, with hundreds of apartments opening up in quick time. A number of investors have come up with residential complexes that promise quality lifestyle to the homeowners. The demand for property in Sector 88A Gurgaon has increased manifold in the last few years. Proximity to the commercial areas, a well-developed transportation system and enhanced security facilities has facilitated the growth of the real-estate industry in this zone. The projects in Sector 88A are centrally located, ensuring easy reach to the important commercial areas of Gurgaon. 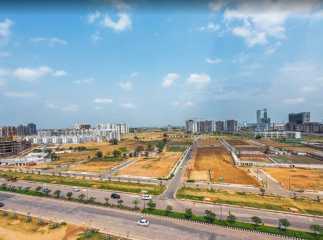 With several elevated corridors, flyovers and new thoroughfares coming up in the area, Gurgaon is likely to witness a further surge in the demand for residential apartments. The prices of properties in Sector 88A have increased in the last few years, and investors from all around the country are interested in buying high-end homes here. The returns on sale for residential property in sector 88a Gurgaon are high. You can strike a good deal if you make your investment now. The residential complexes come with all the necessary amenities. You will enjoy a quality lifestyle in Gurgaon when you move to the apartments here. The location advantage is one of the prime reasons behind the popularity of flats in Sector 88A. The social infrastructure in the area is refined, and you will enjoy the life in the sophisticated apartments. The developers have exhibited the hallmarks of quality craftsmanship while developing these architectural structures. Intelligent floor planning, spacious interiors and elegant furnishings in the apartments bring quality homes to the residents. Residents will enjoy the wide balconies, large windows and elegant furnishings in these apartments. The villas in Sector 88A come with ample green spaces. You will enjoy the landscaped gardens and green living facilities in the complex. A large section of the estates is dedicated for public use. You will cherish your life here, with a refined ambience in the estate. The residential complexes are located close to the commercial areas in Gurgaon, with swift transportation facilities in the area. The commercial importance of Gurgaon is increasing over the years. Its proximity to Delhi and the upcoming of a large number of blue-chip companies in the region have further escalated the demand for residential property in this region. Employment opportunities in the area are tremendous. When you move to the residential apartments in Sector 88A Gurgaon , you will enjoy easy connectivity to all the places of entertainment around the region. A large number of shopping malls, multiplexes and restaurants have come up around Sector 88A. The educational and healthcare infrastructure in this area is also well-developed. The important schools in the area include Delhi Public School, Arya School, Foster Kids, Scottish High School, The Millennium School, and Open Sky School. The important hospitals in the area include Shri Bala Ji Hospital & Trauma Centre, Shubham Healthcare Hospital, ESIC Hospital, Fortis Hospital, and Kalyani Hospital. If you are planning to buy new projects in Sector 88A Gurgaon , this is the best time to make your investment. The prices of apartments in the region are rising. You will enjoy quality homes, with elegant housing features when you move to these residential complexes.